Note: Disney characters were taken from http://clipart.disneysites.com and are used in our application with no commercial purposes. All clipart on this site has been gathered from the public domain to the best of our knowledge. However, if you have an issue about certain clipart, please contact us at eva(at)lcc.uma.es side. Images © Disney. 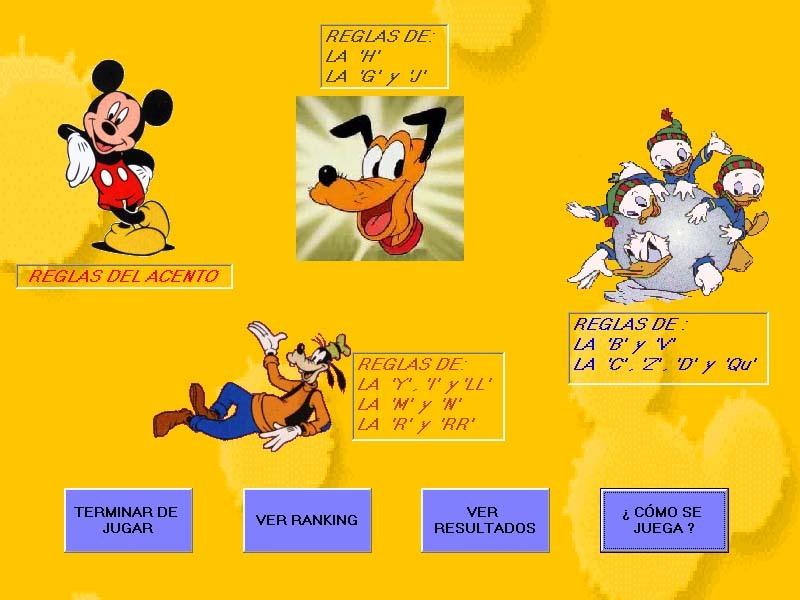 Mito es un juego educativo diseñado para que los niños de 8 a 12 años aprendan ortografía. (artículo presentado en el Workshop on Educational Games as Intelligent Learning Environments at AIED'05 en Amsterdam).